The Lake Havasu Area Chamber Ambassadors held a ribbon cutting ceremony for Casa Serrano of Lake Havasu Mexican Restaurant. Gilbert and Isabel Serrano along with Mayor Mark Nexsen were there with the Ambassadors to celebrate its membership with the Chamber. 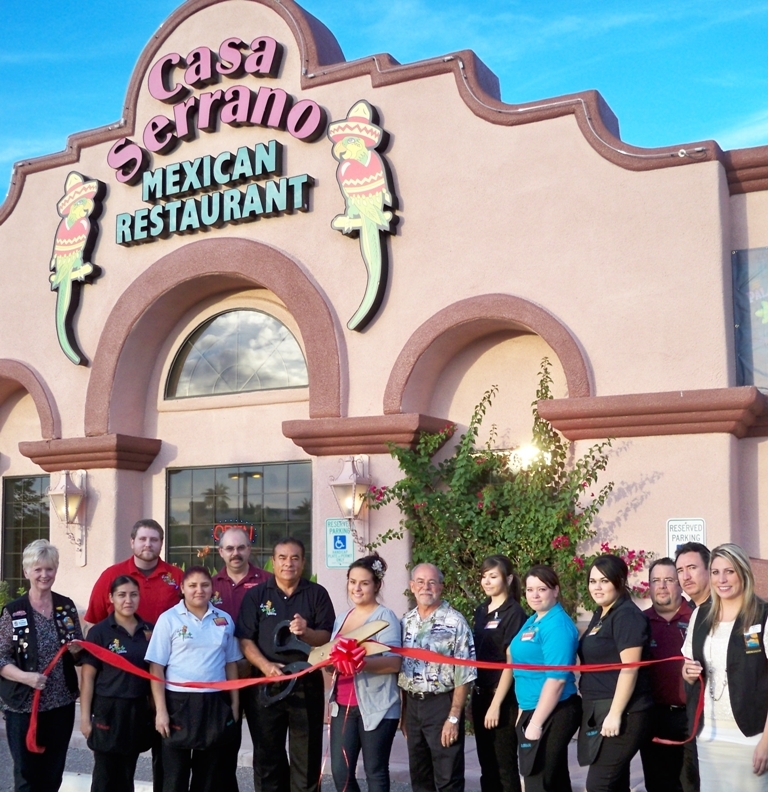 Casa Serrano has been in business for 30 years with all of its locations and is open 7 days a week. For more information contact them at 928-854-5500.